Despite Gov. 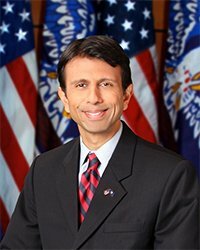 Jindal’s action, however, the Board of Education has stated it will still move forward with the implementation of Common Core. Gov. Jindal’s next move is anyone’s guess, but this will be a state to watch. On behalf of our over 500,000 members nationwide, Concerned Women for America Legislative Action Committee (CWALAC) applauds Gov. Jindal for his bold leadership on this issue. Please thank him for his action today! To read his letter to the Partnership of Assessments for College and Career Readiness, click here. Please call Gov. Jindal and thank him for his stance at 225-342-7015, or him a tweet at @BobbyJindal. Kaylyn Caruso is an intern with Concerned Women for America’s Ronald Reagan Memorial Internship program. To learn more about internships at Concerned Women for America, click here.